Looking for Recipes for Kids? Let’s face it, kids love pizza. And parents? Not so much. As a Dietitian, when I think pizza and young children, I see opportunity. I see an opportunity to make recipes for kids a way to get kids to try new foods. I see the opportunity for parents and children to collaboratively take part in every stage of the meal preparation process, starting from selecting the ingredients in the grocery store and finishing with preparing and cooking the meal in the kitchen. Vegan Cauliflower Pizza Crust That Holds, Folds &#038; Doesn’t Crumble! These opportunities are invaluable moments for you to gently teach your child about food selection, food preparation and food safety practices in a context that they will actually enjoy because if there is one thing that you can get most children to get excited about preparing, it’s pizza. Pizza can make a great recipe for kids! Now, there is just that little detail of wanting to make sure the pizza is actually healthy too. Recipes for kids don’t have to be hard. Find creative ways in the kitchen! Don’t worry, pizza can absolutely be a healthy guilt-free dinner option for children! 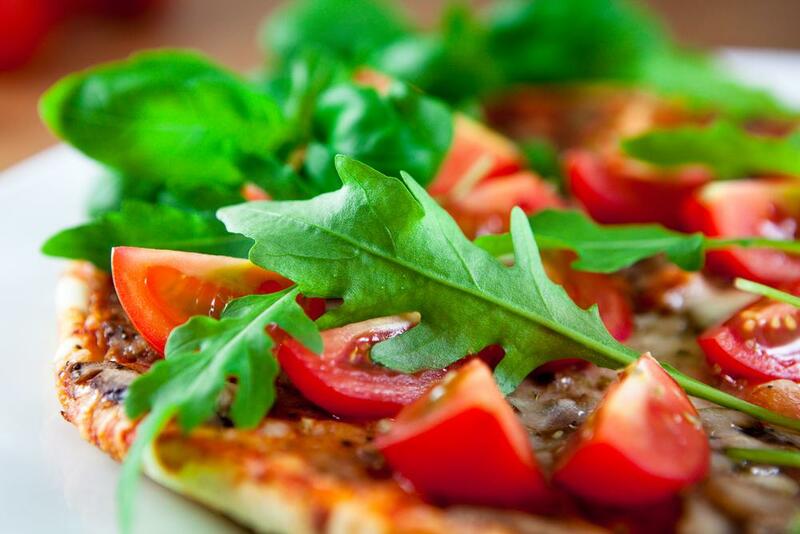 Check out these healthy pizza recipes and check out gluten-free recipes. The idea behind the pizza games is to promote collaboration and compromise between parents and their children in meal selection and preparation process. 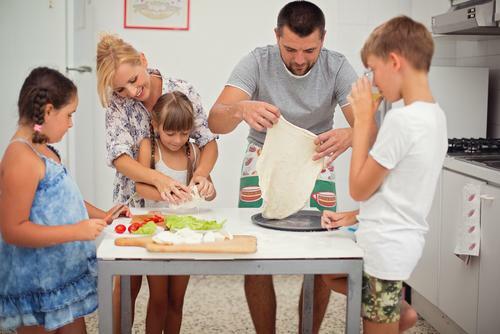 Both kids and their parents will have fun creating their pizzas together! The parent and the child/children alternate their topping selections until you have reached a desired number of toppings. The child picks first, then the parent picks and so on. Obviously, the parent will have an opportunity here to use pizza as a medium to encourage the child to try new healthy foods (veggies in particular), or at the least to use it to incorporate the foods he or she already enjoys in a fun. The benefit to the child is the ability to have pizza more frequently, while the parent benefits by utilizing pizza as a way to incorporate certain healthy foods into the child’s diet which may then later be enjoyed in different meal contexts. The basis of the Pizza Games is compromise and mutual satisfaction, it only works when both parties have a say and both are satisfied with the outcome. As a parent, you have the advantage of being able to control the selection of sauce (preferably home-made tomato) and cheese (such as a skim mozzarella) and even potentially the dough. Whole wheat dough may be a tough sell for some children, but I recommend seeing how your kids feel about a 50% whole wheat and 50% white flour crust. What Should You Choose For Ingredients? I would recommend focusing on vegetables for your ingredient selections. Any vegetable that you know your child tolerates, or would be willing to try if it was presented on pizza, is a good selection. Vegetables such as broccoli can be finely chopped and this may help appear less prominent and thus less of an area of concern for kids. Other than veggies, any fruits you both enjoy and healthy protein options such as chicken, tuna or beef would all be great topping choices. 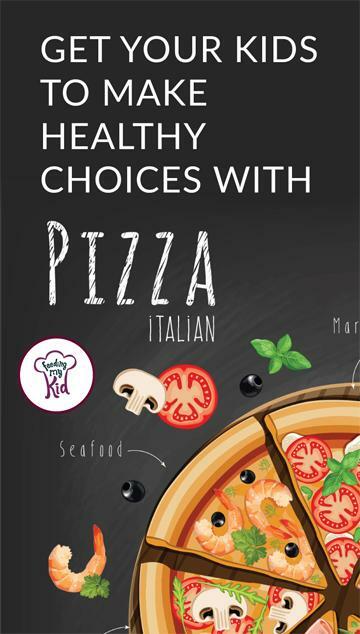 From the perspective of this Dietitian, the Pizza Games allow you the opportunity to teach your child valuable food skills in and out of the kitchen while introducing them to new healthy foods in a context that they can actually enjoy. If your kids are picky and you need recipes for kids, the Pizza Games are perfect. Every child is different, and some may be less enthused with the concept than others, but the only way to know for sure is to give it a shot! Creative pizza toppings can make great recipes for kids. Find out how to get kids to be adventurous foodies by using pizza!